ISI mark or the Indian Standard Institute, that is known as BIS, is a standard body in India which checks the quality and the efficiency of different products in India and hence keep in check if the company is following the laid out standards given by the Institute. 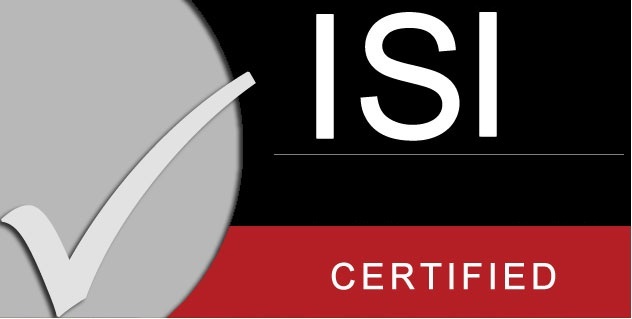 Now there is a very common misconception amongst the general public that ISI Certification and ISO Certification is one and the same thing. However, this is not at all true, even though both the certification works on by laying out different standards and aim for one thing that is high-quality products and services to be given out they are still very much different. Whereas ISO Certification is provided to a company and the way it works, the internal working system (in accordance with the International Standards laid out by the ISO), ISI Certification is given out to products also, more commonly known as ISI mark. To get ISI Mark for your products, we need to know about the BIS Standards and then evaluate. Evaluation is done on the basis of product quality to match the BIS Standards. ISI Mark is mandatory for selling the certified products. After the evaluation of product about the quality and it comes out to be good enough to get the ISI Mark and product becomes certified. After that, fill the application form and submit to the BIS Office along with the required documents. All the documents are mentioned in the form with the prescribed fees. After that, a BIS Officer will evaluate the product. They evaluate from the very starting of the manufacturing process to the finishing process of the product. If and only if the product passes the evaluation, you can use ISI mark since a license will be issued to you. You’ll be sending the different test results and certificates to BIS Laboratories for getting all the required documents certified independently. But what you need to understand is that BIS will verify all the documents and certificates you provide to them in one month’s time. Once, they are completely satisfied by the documents will they only grant a license, hence, completing the ISI Certification. After all this, you are free to use ISI Mark and give an overall satisfaction to the consumers and as well as other partners or workers. ISI Mark gives a sense of reliability and trust to other consumers and hence is considered very important especially when one wishes to comply all the legalities while setting up a business. A license is applicable for one year from the date it was issued, after which it needs to be renewed. One can say that why the lifetime of the license is so short? it’s simply to keep in check the quality of products, it shouldn’t be the scenario where you forget all about standards and quality once you have got an ISI Certification. You may need to consult some ISI Consultants, seeing the complexity of the standards laid out by BIS and the vast number of Documents. We at, LegaalRaasta can provide you that help, fill a simple form now, and enjoy a short and quick ISI Certification of your product.